In Bono’s first column for the New York Times, the singer – perhaps against type-cast – muses on believability, duality, “hubris and humility, blue eyes and red” in a new, less certain year. Forget the petrol pump attendant. If Bono hadn’t been in a band, he would have made an a-list blogger. As in years past we at U2log.com are excited to keep our tradition alive by bringing you some goodies to keep you company through the holiday season and into the new year. This year we are pleased to share with you some rare gems from our vinyl vault. But before we open the vault we would like to present you with the following message. Vicki Iovine introduces A Very Special Christmas, taken from a US cassette promo. An edited version of Christmas (Baby Please Come Home), taken from that same promo. I Will Follow (Special Edited DJ Version), from a UK 7″ promo. An edited version of Fire, from a UK 7″ promo. An edited version of Gloria, from a UK 7″ promo. An insanely rare edited version of Gloria, from an Argentine 7″ promo. These downloads will be available for a limited time only. A big thank you goes out to our friend Rajiv Udani for providing some of these rarities! Here’s some ancient footage of the boys in Japan. Sit it out till their live performance to experience New Year’s Day without guitar. Nulle points for the sound guys. Bono will receive an honorary knighthood. The British Ambassador to Ireland, Mr David Reddaway, announced the news on Saturday. He will receive the honour, Knight Commander of the Most Excellent Order, for “his services to the music industry and for his humanitarian work.” The ceremony will take place in Dublin shortly after New Year’s Day. Bono will not be adding his name to the long list of people who have declined a British honour, like David Bowie, Francis Bacon and John Lennon, who eventually returned his MBE. Knights and Dames Grand Cross and Knights and Dames Commander who are not not citizens of the United Kingdom or another country ruled by the Queen are not entitled to the prefix “Sir” or “Dame”, but may still use the post-nominal abbreviations: Paul Hewson, KBE. We understand that Bono is ‘very flattered’ to be honoured, particularly if the honour – like its French counterpart – opens doors for his long standing campaigning work against extreme poverty in Africa. The sainthood can’t be far off. Though maybe The Mrs has dibs. The Independent: Arise, Sir Bono! Their Denton interview from March this year is going to be repeated on Monday and the band will appear on Rove on Tuesday night. The stage in Brisbane is almost fully set up. We haven’t had any info yet on how GA lines are going to be handled. Aussie fans, we welcome your reports and tips. 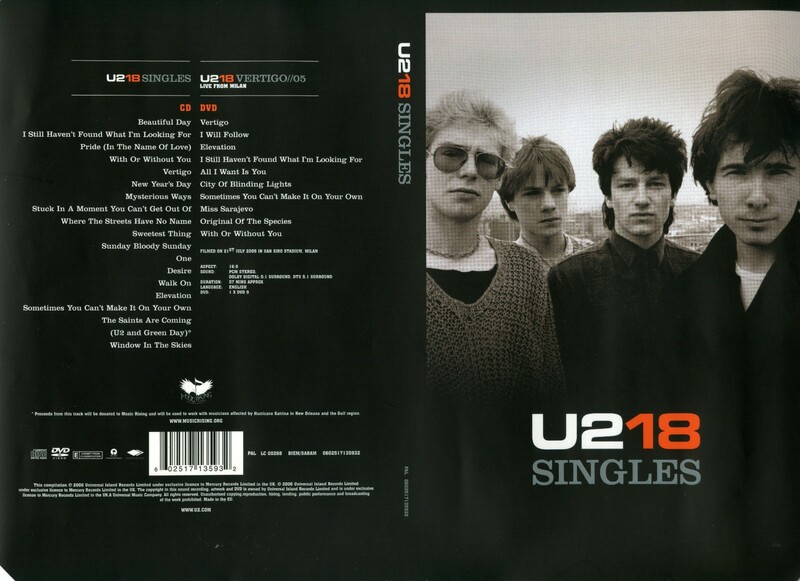 Meanwhile, Billboard publishes the U218singles track list, including the new song ‘Window in the Skies’, and U2place.net has what might be the album sleeve. On the 5th of July 2005 at the Slaski Stadium in Chorzow, U2 played their only second ever concert in Poland to the 70’000 excited fans. Never mind the heavy rain, minutes before the showtime, what happened when The Edge hit the first notes of New Year’s Day meant that not only “The sky fell in Poland”. The Audience stunt – the “White and Red campaign” caused lots of mouths to fall open, including the Band’s and Willie Williams’ himself. Polish fan Zbych tells ‘The Story of the Flag’ on U2tour.de. Last night Morumbi Stadium was filled with 70,000 Brazilians, but 20,000 more without tickets listened to the show outside the stadium in the rain. They just wanted to be there to say goodbye to the biggest band on the planet.